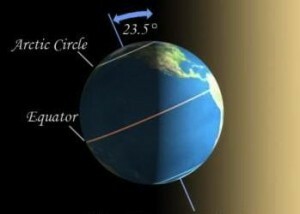 Today marks the winter solstice, when we experience the shortest day of the year. This is because of the tilt of the earth’s axis of rotation relative to our orbit around the sun. So if you celebrate the winter astronomically, then today is the first day of winter. If you are a climatologist like me, then winter began on December 1. Either way, happy winter! Posted in Climate science, Events. Bookmark the permalink.